This 300 mm Horizontal Arm allows the Flexible Server Module to be perfectly fixed, oriented and adjusted. It is coated with an anti-microbial agent offering hygiene and cleaning down to the last detail. Its modern design has been specially designed for healthcare environments. * Mounting on Variable pole 23 - 40 mm, fixing ring included. 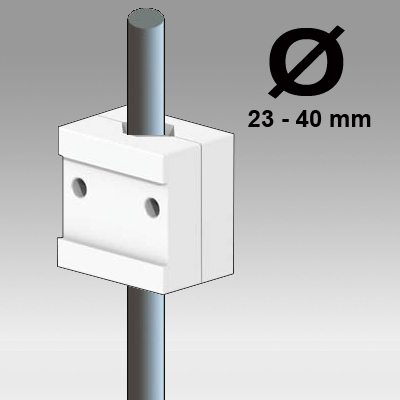 Variable pole 23 - 40 mm and then adjust to the pole.